EK Water Blocks, Ljubljana based premium computer liquid cooling gear manufacturer, is proud to announce that EK-Vardar, company’s first fully in-house engineered computer cooling fan, designed and built primarily for highest-performance computer liquid cooling systems, is now shipping. This product is the result of one year worth of development, CFD analysis, careful motor selection and anechoic chamber testing. 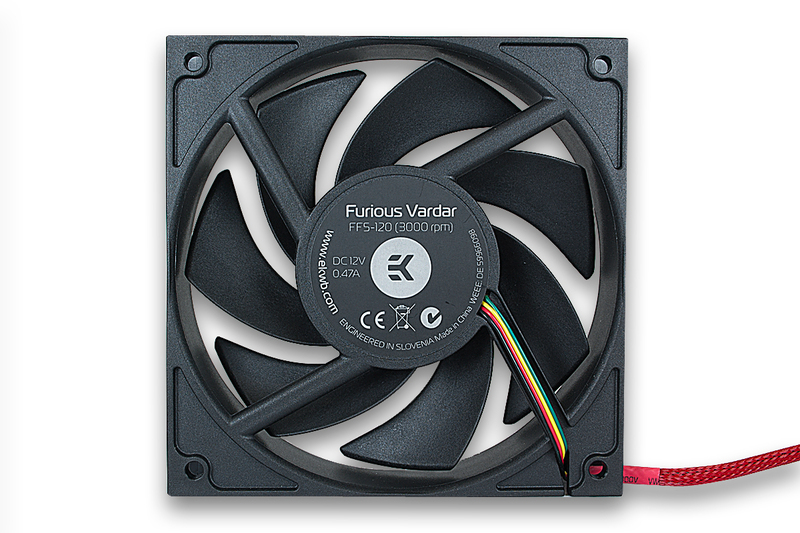 High-static pressure / low noise profile – unlike other general-purpose computer cooling fans, the EK-Vardar family of fans is built specifically for computer liquid cooling systems, namely radiator cooling. The 7-fin fan blade design is optimized for high pressure operation while maintaining the low noise profile throughout the whole operation range of the fan. Vardar’s design and construction is also very suitable for high-performance heat-pipe air coolers. High-quality motor and bearing assembly – Proven electrical design, actively cooled motor windings and Double Ball bearing with 50.000 hours lifespan (MTBF) ensures uninterrupted operation for years to come. Phase-width modulation (PWM) fan speed allows performance on demand. Sealed-edge fan casing – The classic, yet effective square shape of the fan casing ensures optimal performance in either pull- (suction) or push (pressure) regime without hydraulic losses thus ensuring optimal cooling capacity of your liquid cooling radiators. 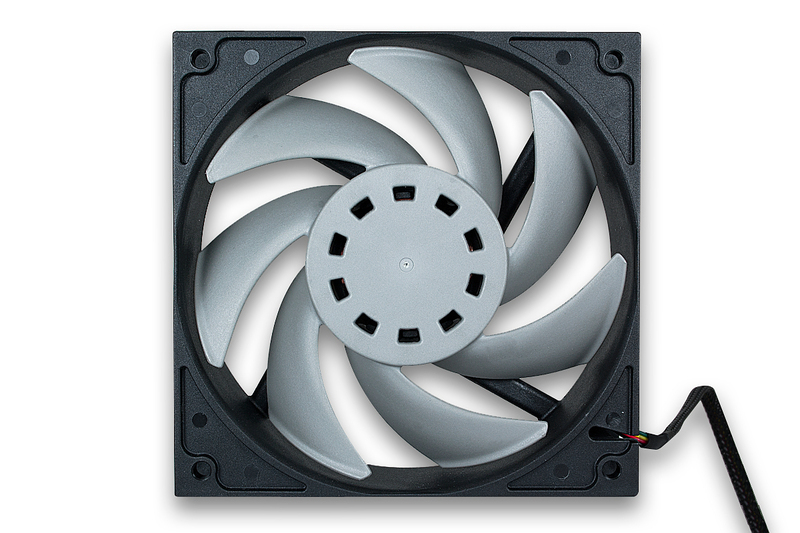 Timeless design – the EK-Vardar fan fits subtly into any liquid cooling computer without drawing too much attention. Single- and two-tone colour design with monochrome fan sticker. Less is more. 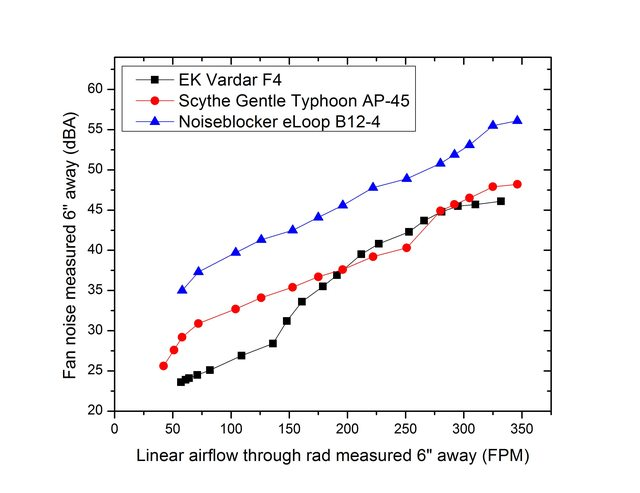 "The new EK Vardar fans seem to be carrying on from where the Gentle Typhoons stood, and take it that extra bit further", writes Varun Shenoy G., reviewer of Xtremerigs.net. "You can see that while the AP-45 and Vardar F4 are very identical in airflow through the radiator, the Vardar F4 is slightly quieter most of the time." The new fans are readily available for purchase through EK Webshop and Partner Reseller Network. For customized and OEM parts please inquire for quotation. Designed and Engineered in Slovenia, Europe.